I have two naughty male ducks, one white, and one fawn and chocolate brown, both males. They have got the mating head on as it is that time of year, and unfortunately we don't have any female ducks in. They are harassing the rescue chickens so they need to go to a home where they can just live as pets, they are used to going indoors at night so you would need a garden shed for them. They are lovely ducks but they need to move on now, both in good healthy condition. They cannot go back to the wild as they would not survive. They need a nice bit of grass to graze on and a secure home. Can you help ? 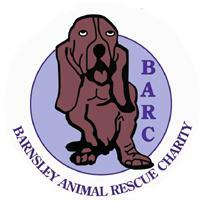 If so contact Kath on 01226 742950 a home check will be carried out prior to homing them. They do quack so not suitable for anyone living in a built up housing estate or you may get neighbour complaints.